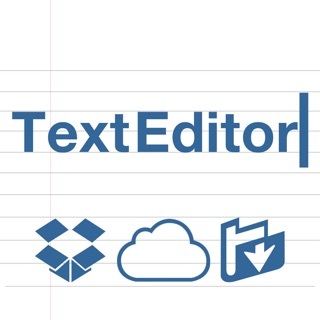 - Before buy any other ftp app please confirm there is features like SFTP support, RSA Key management, background download/upload with directory support, advanced text editor & dual and side by side viewer in this price, other many more? - Bug fixes and lots of improvements. Ironically, the free version works fine. After purchase the pro version, it was disappointed that it didn't work - "connecting" forever. 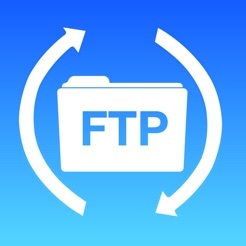 This is the 5th FTP tool that I've tried, and it's the one that I am keeping. 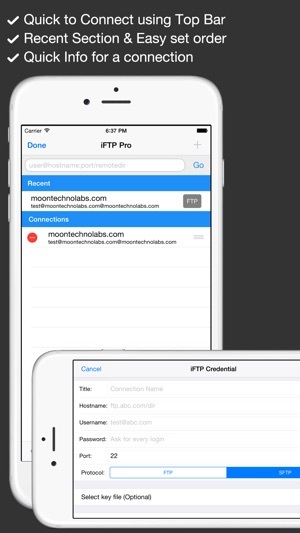 Earlier, I've tried iTransfer ($2.99), FTP Client Pro ($1.99), FTP 4U (free), and FTP Ready Lite (free). Some work, some don't, but all had user interfaces that are annoying, inconsistent, confusing and unnecessarily complex. It seems these guys have learned nothing from Apple, which made its name in large part based on the simplicity and elegance of its designs. 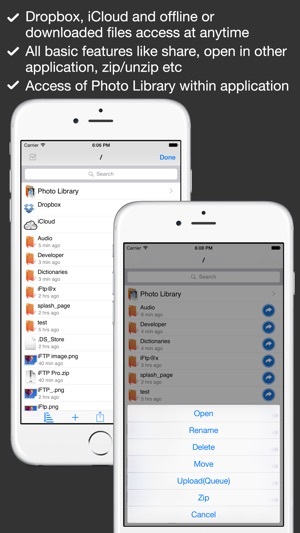 This app has simple and rational design with just the features that you need -- it's a file transfer program -- you don't need a clock or a theme background! files between the computer and the iPad." 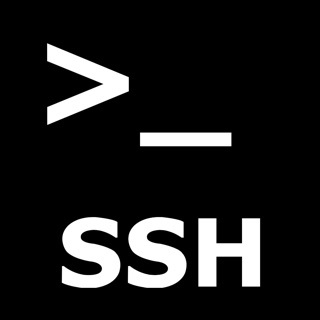 BTW, Sometimes files transferred to the local storage are automatically uploaded to the FTP server? Also, "Finished uploading" has no effect. Not clear what closes this web server.